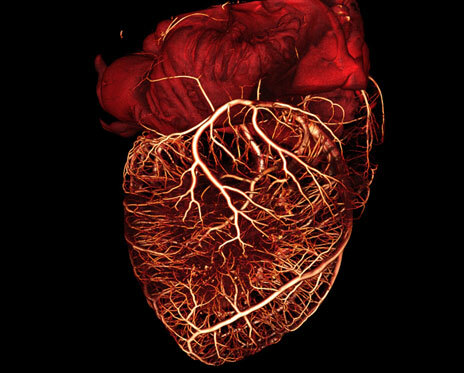 Transplanting gene into injured hearts creates biological pacemakers. Researchers have developed the first minimally invasive gene therapy procedure to treat heart rhythm disorders by transforming ordinary heart muscle cells into specialized rhythm-keeping cells, potentially eliminating future need for electronic pacemakers. Cardiologists at the Cedars-Sinai Heart Institute have developed a minimally invasive gene transplant procedure that changes unspecialized heart cells into ‘biological pacemaker’ cells that keep the heart steadily beating. The laboratory animal research is the result of a dozen years of research with the goal of developing biological treatments for patients with heart rhythm disorders who currently are treated with surgically implanted pacemakers. In the United States, an estimated 300,000 patients receive pacemakers every year. The team have been able, for the first time, to create a biological pacemaker using minimally invasive methods and to show that the biological pacemaker supports the demands of daily life. They are also the first to reprogram a heart cell in a living animal in order to effectively cure a disease. These laboratory findings could lead to clinical trials for humans who have heart rhythm disorders but who suffer side effects, such as infection of the leads that connect the device to the heart, from implanted mechanical pacemakers. The team state that in the future pacemaker cells also could help infants born with congenital heart block. Babies still in the womb cannot have a pacemaker, but the researchers hope to work with fetal medicine specialists to create a life-saving catheter-based treatment for infants diagnosed with congenital heart block. It is possible that one day, the medical community might be able to save lives by replacing hardware with an injection of genes. This work heralds a new era of gene therapy, in which genes are used not only to correct a deficiency disorder, but to actually turn one kind of cell into another type. In the study, laboratory pigs with complete heart block were injected with the gene called TBX18 during a minimally invasive catheter procedure. On the second day after the gene was delivered to the animals’ hearts, pigs who received the gene had significantly faster heartbeats than pigs who did not receive the gene. The stronger heartbeat persisted for the duration of the 14-day study. Originally the group thought that biological pacemaker cells could be a temporary bridge therapy for patients who had an infection in the implanted pacemaker area. These results show that with more research, the team might be able to develop a long-lasting biological treatment for patients. If future research is successful the procedure could be ready for human clinical studies in about three years.